Glad you weren't slack about it. I see the Dermatologist every year and I urge everyone else to do the same. Every body needs an annual service. Check the bloods, urine and turds. Plus the eyes and skin. Shocked by some people who never bother. It had actually been a couple of years, the last skin check was at the GP when I was getting the whooping cough injection for original kid - that was 4 plus years ago. I didn't think anything about going now, uni had finished and it was just something I had to book in to do. There were no other signs or indications that anything was that far wrong. I have definitely dodged a bullet here and as the wise one above me says, do it, no matter how old you are. As long as you are OK, I'm sure everyone will not mind if you get the km's run by next November, I'm sure we will all forgive you. THEN to increase your pain, maybe we could donate twice as much next year with the same incentive. Glad you are OK Captain. Get well and get back to running when you can. ... if I can reach my target of $1000, I will run the equivalent of an ultra marathon for the month. Target reached. Well done Bump. Edited by hack2489, 17 November 2018 - 09:16 AM. well, the penultimate day of what has very much been a bitter sweet month from a Movember point of view. I am very much over the moon and very thankful for the ongoing generosity this place has shown me in being the big reason I have smashed through my target of $1,000 for the month. This is the important thing, raising the funds to go towards the services that help our brothers out. I would like to hope the fundraising incentives of me running had helped me to get some higher donations so it is disappointing that I wasn't able to finish off what I had started, this is definitely a let down, but it has raised something else important for me. I had only ever just done my skin checks because that is what I need to do, something to be done and ticked off the list to make my Mum and my wife happy. Having the first little bit cut out was cool, thinking that is was just an odd spot he wanted gone didn't get another thought, but after needing to have the Level 2 melanoma cut out on the 13th not only stopped my running it made me reassess what else is actually important. I do want to finish my accumulative total, I made that commitment to you so I will do it. It's going to get very hot out there running this next month, especially in a shirt with sleeves, but the game hasn't finished yet. 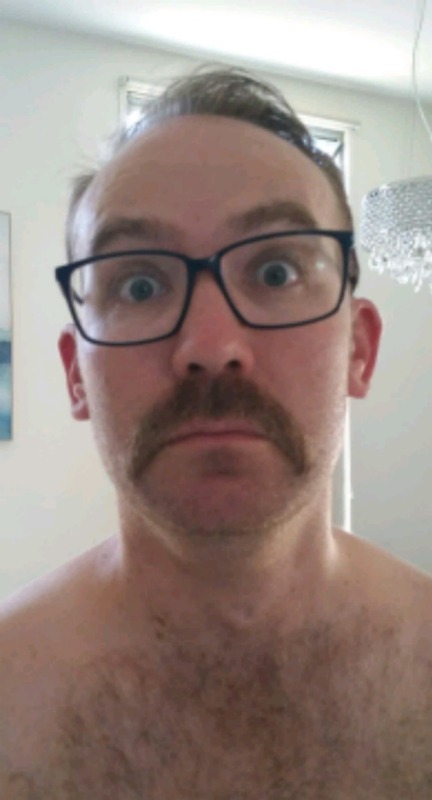 Hey Bump, where's the final 'mo grown piccy? I will throw it up onto my mospace when I get home. and updated on my mospace. Thank you again to all the very beautiful punters who have helped me smash through the target. It is always such a great feeling knowing that even though everyone has so much going on in their own world's that they are still willing to stop and put their hand in their pocket to show how beautifully generous they really are. Are working on the chest hair next? ?